Is Your Lens Too Narrow? Vern Burkhardt (VB): In The Wide Lens you say that too often managers set their sights on the next exciting innovation by focusing on whether they can do it and how it can be done. Do you have any thoughts about why they miss what you call the real question of 'when' it should be done? Ron Adner: During the research for my book it became clear that there is a tendency to obsess over the question, 'When can the innovation project be finished?' Whenever you're innovating it's hard enough just to do your own work. What's easy to overlook is the question of what else needs to line up for an innovation to be successful and then to identify and address the uncertainties in those other projects. Smart timing for an innovative product or technology requires you to look carefully at who or what will help or hinder your efforts to deliver value to your customers and therefore enable you to be successful. Depending on the timing and existence of other things that must occur to enable your innovation to be successful you may need to adjust your strategy and the timing of your own innovation efforts. You don't need to look any further than Nokia's 3G mobile phone to see what happens when you have the right idea and deliver it on time according to your project schedule, but other necessary aspects of the innovation are not in place. Nokia launched the 6650 phone in 2002 and became the world's first 3G firm, a third generation of mobile communications which enabled data streaming in addition to voice. Nokia won the race to be the first to develop a 3G mobile phone, but significantly missed its sales goal and its profit and growth projections. The projections of market adoption were not realized for six years. Nokia's mistake was to focus all of its innovation energy on executing its own projects related to the development of this small and complex consumer electronics device at an affordable price. It failed to manage the challenge that the success of its innovation would be dependent on timing of the commercialization of other innovations by unfamiliar partners, such as personalized video streaming, automated payment systems, and location-based services. Nokia ended up asking the question of 'when' for 10 years and watched Apple walk away with the cake. The aim of my book is to help leaders, managers, investors, and policy makers – whoever are making decisions about allocating resources – look beyond their areas of responsibility in order to see everything else that needs to happen to make an innovation successful. VB: Do you agree that the failure of many innovation initiatives can be partially explained by your observation, "The logic of co-innovation is a logic of multiplication, not averages?" Ron Adner: It does help as an explanation but, more importantly, it highlights why it's important to pay extra attention to the interdependence of all organizations which are required for a successful innovation. The saying, 'an ounce of prevention is worth a pound of cure' is correct, but sometimes people forget that an ounce of prevention still requires you to invest time, energy, and resources to achieve this ounce. A big part of what I'm trying to do by introducing the concepts I developed in The Wide Lens is to show how to make the one-ounce investment more likely to result in prevention. It's not a matter of advising people to be more careful and to do more risk analysis. It's about explaining where you should apply the lenses, and why you should do so. VB: Were you the first to identify the need for the Wide Lens perspective? Ron Adner: People have been talking about the notion of ecosystems for almost 20 years. My unique contribution has been to give a coherent structure for how to think about this question of interdependence. Behind the structure are the framework and tools which I created in order to accomplish two things. They're supposed to help the decision-maker get to better decisions. They're also supposed to help leaders have better conversations with their teams. Managers and executives are increasingly being pushed into a world of collaboration. This is positive but has its risks. By working in concert with others both within and across organizations greater things can be accomplished with greater efficiency. On the other hand, success in this environment depends on the efforts of your collaborators as well as your own. In a world of collaboration you're facing a world of dependence. It's not sufficient to know what is the right innovation idea. You also have to ensure that everyone you're depending on for your innovation will coherently work in the same direction. The strength of the collaborative tools I have developed is to enable you to see an innovation project with a wide lens. They will help surface the right answer. They will also help you converge on a shared understanding, thereby enabling you to work more effectively and efficiently. VB: In a world requiring collaboration it is easy to inadequately communicate especially on complex innovation projects. Ron Adner: Completely. It's not about breakdowns due to politics or misaligned incentives. Good people are working hard with good intentions. Everybody's trying to do the right thing, but in the absence of an understanding of the structure of dependence they end up missing the innovation goal. Rather than being an ending point having a great innovation is a starting point for structuring the collaboration process. Even if you've figured out what your customers want you're not necessarily set for success. VB: "Success in this world [the modern economy] requires mastery of ecosystem strategy." What do you mean by an ecosystem strategy? Ron Adner: The traditional pillar of a great execution is making sure that your proposed new product or service is going to create value for your customer, that you can actually deliver it, and that you will have a competitive advantage with it. An ecosystem strategy goes beyond these considerations and forces you to consider the other stakeholders that you're depending on to deliver your intended value proposition to your consumers. An ecosystem strategy focuses specifically on how to line up those other stakeholders who form a structure of interdependence. Their success will have implications for your success. It focuses on how to create value for all of your stakeholders to get them to line up as part and parcel of your innovation effort rather than being an afterthought. VB: "Ecosystem reconfiguration is at the heart of every new value proposition that breaks from the existing industry mold." Would you talk about this? Ron Adner: When I think about it… there are few major innovations which aren't impacted by their ecosystem. In some ways almost every innovation is embedded within a context of relationships. When General Mills puts out a new cereal with a new combination of ingredients it needs to figure out how to manufacture the cereal with effective quality and cost controls, engage retailers, and have a marketing campaign so consumers are aware it's a new product. This kind of innovation doesn't require a major change in the ecosystem because most of the activities involved are within the General Mills organization. This is why it would generally be considered to be an incremental innovation. The innovations that break the mold are those which present a new value proposition. This is, for example, what happened when Caterpillar proposed to design and manufacture construction equipment with an enabled navigation control. This is much bigger than an incremental improvement to the equipment. Often with these kinds of innovations you must interact with other parties in a different way. In the example, Caterpillar would have to figure out how to put intelligent software into the pieces of equipment and create a marketing campaign to convince construction managers that it is the kind of equipment they need and want. But they would also have to interact with all sorts of other people on the work site. This would require ecosystem thinking. If those other trades people didn't change how they go about their work, then the value proposition embedded in the newly designed construction equipment wouldn't actually materialize. It might be a great innovation in its potential but the greatness wouldn't be actualized. VB: It is often difficult to bring about change within your organization, but changing other players within the ecosystem poses a whole different level of challenge. Ron Adner: It does. If you don't see a risk involved in an innovation you can't mitigate it, but if you do you can do something about it. There are two ways to think about it. The less productive way is to decide to not bother because involving other players would add an additional set of risks on top of what is already a difficult undertaking. But this misses the fundamental point that every time you do a risk analysis you're going to identify risks that are not readily apparent. That's the point of a risk analysis. The risk analysis doesn't create the risk; it merely lets you see it. And in seeing the risks you can act on them in a more intelligent way. You can either manage the innovation project better, or you can decide to not take the risk at all because one or more external dependencies would result in failure no matter what you do. Understanding what the other players must accomplish and the timeframes for such enables you to be more selective and intelligent about the efforts you want to invest in, and the innovative projects you choose to walk away from. And for those efforts that you choose to invest in it's going to allow you to do it in a more holistic and productive way. VB: When talking about Better Place which is attempting to reconfigure the electronic vehicle ecosystem, you say, "In a world obsessed with globalization, size, and interconnectedness, it becomes ever more critical to know where to draw the boundaries." Are there secrets to learning where to draw the boundaries? Ron Adner: They're not secrets, but whenever you're thinking about boundaries you need to think about segmentation. The wide lens perspective and the full set of tools that are included in my book will enable you to segment more effectively. To be successful in bringing your innovation to the marketplace you can't just think about how to segment your customers and identify opportunities from this perspective, or how where to deploy your available resources. It's equally important to think about the partnerships that you're going to need to set up. Partnership structure and partnership leverage become key factors in how you draw boundaries and segments. The public and private players who are dedicating substantial resources to solving the electric car dilemma which relates to problems associated with generating, storing, delivering and paying for required electricity are generally proceeding with a focus on their own execution challenges. Since each seems to be focusing their efforts on improving only their element of the system, there is a great deal of incoherence in the way the whole system is developing. Better Place has focused on challenges which go beyond the building of an electric car that can overcome the limitations of a limited driving range. They have addressed the initial cost of the batteries plus the negative impact of the battery on the resale value of the car. Other considerations which Better Place has had to contend with include the need for a charging infrastructure, a limited driving range, and implications to the electric grid capacity if an ever increasing number of cars were plugged in for recharging after the morning commute and when drivers arrive home from work in the evening. In its plan to introduce the electric car in Israel and Denmark, Better Place has reconfigured the ecosystem around the car rather than focusing on how to innovate the electric car. In this system Better Place owns the battery, which can be charged at home or quickly exchanged at readily available charge spots and the driver pays a mileage-based user fee. Better Place can manage the re-charging process including purchasing cheaper power at non-peak periods. It has also partnered with Renault to jointly commercialize an electronic car so a robotic system can be used to exchange the battery at the changing stations. VB: Is it a core message that if properly used your wide lens tool kit will increase the likelihood that the innovation efforts of organizations will be successful? Ron Adner: Yes, absolutely. The message here is if you don't know how to look beyond the role you play in your innovation, then you're setting yourself up to fail. If you can look beyond, success is not guaranteed but the likelihood of success goes up dramatically. VB: Does it surprise you how often this message hasn't been understood with the result that many innovations have failed? Ron Adner: Yes and no. It's surprising because after the fact it seems pretty obvious. I hear this a lot. Many people who read the book respond, "Oh. Of course its why our innovation was less than successful!" Before they read the book all the cases of the failure of brilliant innovations seem to be completely mysterious. The benefit of a new perspective is that from a different angle you can see things more effectively. The parallel I draw is that if you go back 30 years the shift to supply chains was qualitatively in the same direction as the shift to ecosystems today. Then you had firms starting to collaborate with suppliers and distributors in a different way. When businesses moved to supply chains, clearly they were moving toward greater interdependence. Ecosystems involve 'complementers' which involves even more complex interactions. If you think back in time, the exemplary companies like Dell and Toyota were early to get the concept of the benefits of supply chains. Everybody knew they were doing something different. They were like the Apples and Amazons of today. Think about the reaction at the traditional car manufacturers when they learned about the way Toyota was managing its supply chain. Instead of bringing 50 suppliers into the room, showing them a part with detailed specifications, and setting up a bidding war, they chose one supplier to work with in a win-win relationship. In advance of moving toward manufacturing they invited and used input from this supplier in the design process. At the time many thought it was crazy, but today it's obviously the wise thing to do. The same logic applies to the ecosystems. Many implications of this new approach go against the traditional grain. Wow, you mean we shouldn't always try to be first? Maybe we shouldn't always try to lead in these collaborations? Once you look through the wide lens it makes sense, but before it doesn't. Why wouldn't you have your suppliers beat themselves up to a pulp on price and profitability? Why wouldn't you want to rush forward and be first to market every time? The answers to these questions become obvious in retrospect, but what is needed is a litmus test in advance of rushing into the process of implementation of an innovation. VB: Are businesses, which are striving for breakthrough innovations as compared to incremental innovations, especially vulnerable to having blind spots related to co-innovation risk and adoption chain risk? Ron Adner: The short answer is yes. The more nuanced answer is that it's not that they are more likely to have blind spots. It's that if they're doing incremental innovations the blind spots don't matter. Going back to our example of the new cereal product, if you don't need your partners to make any adjustments, such as installing new shelf space, it's ok. The problem with breakthrough innovations is often they do require partners to shift, make adjustments, and even innovate new approaches, components, and business practices. If you haven't taken this into explicit consideration when setting the strategy for your venture the result can be failure. I also talk in the book about Michelin's failed PAX System, which was a run-flat tire even if punctured. They failed to understand the nature of their adoption chain challenges, which essentially are a tug of war between an innovation and the status quo. In Michelin's case it did everything right in terms of its innovation of this tire system, but it failed to fully understand the PAX ecosystem and the need for some partners to change their routines. One of its mistakes was to assume success lay in getting car manufacturers to install these innovative new tires on new vehicles and it failed to recognize the key importance of service garages needing to invest in specialized repair equipment. The result was there weren't enough service stations that could service the PAX system after new cars had been purchased and were being used. VB: Your message also applies to startups? Ron Adner: Absolutely. This is a message that applies to anyone trying to do something new whether they're a large company, a startup, in the social sector, or a non-profit. Anytime you are trying to implement a new value proposition that requires collaboration with others, which, by the way, is almost anything you do these days, how to manage issues around adoption chain risk and co-innovation risk become central. VB: This message would especially apply to entrepreneurs who have a great idea but are often too committed to their idea to take the time to overcome their blind spots. Ron Adner: Absolutely. I spend a lot of time talking to entrepreneurs, and a lot of what's in my book is intended to make explicit and structured what people with a lot of experience and great intuition already know. The problem is that if you've got great intuition it only helps you get to the right answer. It doesn't necessarily convince the people in your organization that your answer is right. Even if they are convinced it doesn't necessarily guide them to the right set of actions to take. So many startups fail because they don't look at the full adoption chain which must be lined up, and they end of flailing around backwards-looking trying to reactively line things up. The question of their success is not whether or not they had a great idea. It's whether they were able to deploy resources in reactive ways to get their adoption chain in place. Had they understood the adoption chain earlier they would have launched with a different strategy. They would have used their resources more effectively and would have been that much more likely to succeed. VB: You advise that the potential effects of co-innovation risk are hard to see and therefore hard to manage. Why are they so hard to see? Ron Adner: They are hard to see because it's so easy to maintain a focus only on your own innovation challenges. When you talk to partners there seems to be a tendency to assume that if you are ready with your part of the innovation then of course they'll be ready as well. This goes back to the notion of the ounce of prevention still requiring the ounce of effort. Unless you have these processes embedded in your organization it's all too easy to assume partners will line up with your timelines and execution strategy. VB: If you are leading the innovation initiative presumably you need to look in-depth at your collaborators in the ecosystem to ensure they don't have blind spots? Ron Adner: Absolutely. It requires that you expand your due diligence and management processes to not just look at your own project, but also to consider their work as being an inherent part of your success. When considering the issue of managing ecosystems we're bringing up the traditional challenges of project management, but there's a critical difference. Project management assumes that you have authority. The moment you add partners, this assumption breaks down so you need a completely different strategy related to leadership. With project management there's never an issue of leadership because the hierarchy is set at the outset. With ecosystems, the whole thing is up for grabs. VB: "Bad timing expectations are a core source of innovation failure." Would you talk about this? Ron Adner: You can think about the Nokia smart phone. As we discussed, 3G phones were introduced before consumers could use their capabilities. Another example is the cloud services story. There were companies founded in the late 90's to deliver software services. Their failures and resulting bankruptcies were not because they had a bad idea. It was because they didn't see everything else that needed to be lined up to ensure success. If you want to put business critical processes online then having a great application and a great interface is insufficient. In the absence of broadband and an all-in security capability you don't have anything to offer customers in terms of a value proposition. If you know this, it becomes a question of how to address this puzzle? You could grab control of the ecosystem and make sure you are bringing onboard the other pieces required for your solution. The other option is to recognize that some of these pieces will come into existence with the passage of time so you need to adjust your implementation schedule. Once you see the bigger picture you have all kinds of new choices about how you want to act. VB: HDTV and 3D TV posed the same issue. Ron Adner: Yes. HDTV and 3D TV are good examples. Companies will kill themselves to develop absolutely miraculous technology, but in the absence of the required partners the innovation will be of little commercial value. In the case of 3D TV it required content partners. In the case of HDTV with Phillips it was not just content; successful execution also depended on development of transmission standards. Being first in the marketplace is not the only thing that leads to success. The line might be, 'you're first to the starting line and now you get to wait for the race to actually begin." VB: Presumably this is what happens when you focus on technical matters rather than all aspects of the execution of your innovation. Ron Adner: Some people make distinctions between the technical challenge of an invention and innovation. When they're discussing innovation often they're talking about the need to think about how you're going to commercialize your invention. How you're going to produce it. How you're going to handle distribution. How you've got to handle sales and marketing. The layer that the wide lens adds on top of execution considerations – bringing your innovation to the required specifications within the required timeframe – is the importance of the ecosystem which needs to innovate around you. VB: "Adoption chain risk is a product of the tug-of-war between innovation and the status quo." It's a tug-of-war? Ron Adner: Yes, in the sense that the status quo exists for a reason. The reason is that all of the conflicts have been settled and everyone's happy. When you innovate you're asking happy people to change. You need to pull them in a different direction. The problem with many innovators is they're only focused on their end customers. If they don't have a plan for how to induce all of their other partners, all the intermediaries, to change in support the required direction, then the end customer never gets to see the value proposition. VB: Innovations often strive to change the behavior of customers as well? Ron Adner: Yes, that's the point. Usually when we think about successful innovators we think about them as crafting a win-win solution. One of the core messages of the eco-system lens – the wide lens – is if you've got even just one partner in your innovation process a win-win recipe for you and your end customer is not enough. Now you need a win-win-win. If you neglect that intermediary, if you neglect that middle partner and they would end up with a financial loss in your innovation structure you have a win-lose-win scenario. A win-lose-win is a formula for failure despite delighting your end customer. In my book I talk about the example of the transition from analog formats to digital in cinema theatres. As long as the theatres were in a lose position the movie studios could not introduce money saving digital formats which would reduce piracy and save them a lot of money by eliminating the need to produce film prints for each theatre. It was only when a financing arrangement was made for the introduction of expensive digital projectors into theatres that the value proposition for the moving going public could be realized. In the ecosystem it had to be a win-win-win arrangement. VB: How does a wide-lens perspective help uncover the true nature of adoption chain challenges? Ron Adner: Every chapter in my book has a tool or framework to help in this process. I've spent a lot of time developing and testing these tools with different companies and ventures to ensure they will allow a team to have a conversation to reveal the full extent of their adoption chains and the challenges that need to be overcome. The Value Blueprint is one of the core methodologies in the book to enable effective, efficient innovation – to translate your value proposition into action where an agreed upon shared understanding is needed. It is a map which makes your ecosystem and dependencies explicit. This map identifies the arrangement of the elements required to deliver your value proposition – the positioning of required activities, how these activities are linked, and which partner is responsible for what. It is a step-by-step guide on how to hold such a conversation. What's really impressive is how the process of holding that conversation identifies your different stakeholders, some of whom are easy to neglect, and also the structure for their interaction. It forces you to think about who's going first? Who's going second? And then you can ask why isn't this working? Once you have identified your basic blueprint then you can start thinking about how to make life better for your customers. It's the notion of ecosystem reconfiguration where new elements can be added and links redrawn across the blueprint. The iPhone is a good example where the smartphone ecosystem was reconfigured using the iPod loyal customer base to shift Apple from a supplier to a partner, resulting in an unprecedented deal with mobile communications providers such as AT&T. VB: Does constructing a value blueprint to help translate the value proposition of an innovation effort into action almost always reduce the risk of failure when developing a new product? Ron Adner: Yes, because it forces you to be clear about what you're doing. It will reduce failure in multiple ways. One possibility is by showing you that despite having a great product idea that your customer loves, you have no way of lining up an ecosystem for its delivery so you shouldn't bother. Constructing an ecosystem takes time and a clear plan for the sequence in which all the elements will occur. One way not to fail is to say, "We'll never succeed so let's not try." The other way is to look at the Value Blueprint and see where are the red lights are. This asks the question which partners in your ecosystem will not experience a surplus – a high value – from adopting the innovation. A single red light could result in that partner rejecting the innovation and be enough to break the entire adoption chain. Once you have identified those partners who are going to experience a red light you are able to focus explicitly and proactively on how to turn those red lights into green lights. The second half of my book is all about how to do this. VB: Do you agree that it's a win even when a Value Blueprint indicates you shouldn't proceed with an innovation? Ron Adner: Absolutely. What makes all the failure case studies in my book especially poignant is that it isn't just that there were great companies with great managers investing resources and not succeeding because they couldn't figure out how to line up their ecosystem. It's much worse because if they hadn't made these mistakes in not dealing with their co-innovation and adoption chain risks they could have been doing something else where they might have succeeded. With Phillips and its focus on HDTV in the 80's there were so many other things those brilliant people could have been doing. Michelin with the one-flat tire in the 90's could have been more successful with other innovations where they could have successfully lined up the ecosystem. Yes, avoiding failure is a huge success. VB: Does a lack of taking a wide lens partially explain why many corporations fail to see the value of some of their leading edge research? An example might be Xerox's Palo Alto Research Center. Ron Adner: I think there are a lot of reasons why firms don't pursue opportunities or fail in their pursuit of opportunities. There are great stories about how Xerox itself chose to not pursue the amazing inventions that were being developed at its research center, but they spilled out into the world. The same applies to Bell Labs. I don't want to claim that all mistakes are rooted in people having too narrow a lens. What is clear is that even if you get everything else right, but you apply a narrow lens, then you're much more likely to fail. VB: "Modify the notion of 'If we build it, will they come?" to instead ask, 'If we build it, how will they get here?'" Why is this a better question to ask? Ron Adner: This question broadens your perspective. Don't merely ask whether you can come up with something a customer will want. You also need to ask what else needs to happen for that customer to experience value. At the heart of this is a question about what are the other innovations that need to come about and who else needs to support the value proposition for the end customer to experience it. This is how you recognize co-innovation risks and adoption chains. VB: How does your Leadership Prism tool help select who should be leaders and who should be followers in an innovation ecosystem? Ron Adner: One of the important points which I make in the book is that the leader is not the one who says 'I'm the leader'. The leader is the one everybody else chooses to follow. Beyond having the aspiration of leading in an ecosystem, a successful leader needs to have a plan for why they're going to convince everybody else who they're depending on to give up their own claim of leadership. The Leadership Prism is a tool that forces a perspective and a conversation about who's got enough surpluses in the value proposition. Who's got the willingness and the ability to invest in ensuring the partners in the ecosystem are aligned? This is different from who wants to make the most money? There's an important corollary to the notion that to be a successful leader you have to have followers. The challenge is not just how to think about whether you want to lead. It's also to think about how you want to follow. There's an explicit set of tools and perspectives for smart followership. VB: No doubt a successful leader must help all the other partners in the ecosystem to be successful followers? Ron Adner: Yes, you can't be a successful leader if you're the only one who's successful, because the followers will choose to go elsewhere. The leader's job is to make the followers successful so that their success spills back onto them as leaders of the innovation initiative. VB: "As ecosystems become ever more pervasive, it is critical to ask the question: 'Are we in a Walkman world or in an iPod world?' Is this question difficult to answer? Ron Adner: No, it's not. It's only difficult if you don't know that you should ask this question. In some ways it's the litmus test for the question, does your success depend on anyone else? Are you in a new flavor of cereal world or a new interaction world? If the answer is you're in a Walkman world where it's just you and your organization coming up with a brilliant idea and you're plugging into everything that's already in place – such as existing distribution networks – then it suggests a certain set of strategies. This is where product-based strategies which focus on execution risk work really well. If you're in an I-Pod world where you're depending on things to come around that aren't there yet, if you're depending on the development of components or technologies by others to achieve the entirety of the value proposition for your innovations, discipline and perspective is required to understand the ecosystem world you are working within. This is where the Wide Lens toolkit becomes critical. Ron Adner: What's striking in all the examples in my book, and they come from a vast array of industries and companies, is that the failures we have seen are not rooted in competitive failure. They're rooted in a failure to coordinate with partners. In some ways Apple is one of the exemplars of the staged expansion approach. Not only was it a late mover into the MP3 players and smart phone spaces, Apple took a staged approach. And yet Apple's rivals have not been able to catch up. Part of the reason is the best kind of staged expansion is one that helps you develop a competitive advantage as you're building the ecosystem. There is always risk and it is always a serious risk. The question is which risk are you in the best position to address? There's also a risk that you could start on a new venture but end up paralyzed because you can't line up your partners in a sequence that will lead to success. I try to be explicit in all my conversations with business leaders and I also say in my book that implementing an innovation at the Minimum Viable Footprint is not the one best way. You always want to consider other alternatives. There's never a guarantee of success, and there's always a choice among risks. The risk which you want to choose is the risk that you're best able to manage. VB: Are competitors learning from Apple's successes? Ron Adner: Yes, although I fear that many are learning the wrong lessons. My own take is that the critical factor in Apple's success is not their amazing products or interfaces. I find some humor in the fact that a couple of months ago when Apple said Samsung copied their technology exactly, Apple essentially told the world that their products are not unique. Basically they were saying Samsung products are just like Apple products. And yet we know that Samsung's success is light years behind Apple's, which suggests that customers want to have beautiful products but it's not enough. It's not the real secret to Apple's success. Firms, which are trying to replicate the product side of Apple's business, are probably learning the wrong lesson – an important lesson but not the critical lesson. VB: Apple took some risks when it decided to sue Samsung in multiple countries. Ron Adner: Yes, to me Apple's legal strategy is rather opaque. It's unclear what their true goal was. Was it to exclude everyone from moving into Apple's model of the smart phone? Was it to squeeze out royalties? They leave these lawsuits less shiny than when they walked into them. VB: Does it surprise you that many leaders who are involved in partnerships and collaboration with other companies to offer solutions are sometimes blind to the need to focus beyond customers, capabilities, and competition? Ron Adner: Yes and no. It's the supply chain story all over again. Does it surprise you that GM didn't have a particularly great supply chain in the 80's? Looking at it from today's perspective you would say it was ridiculous, but if you think about the way they dominated the auto manufacturing market and the way they developed as a corporate culture, it makes complete sense. The same applies to ecosystems today. We are where most companies were with supply chains in the early 80's. The firms which are early to understand the principles and concepts of ecosystems and the wide lens will benefit from tremendous competitive advantage. They'll be what the Toyotas and Dells were in the early supply chain days. They are the Apples and Amazons. At some point having the right perspective on how to run an ecosystem will become as generic as the right perspective on how to run a supply chain. Today you don't get any credit for being great at supply chains. You just don't get to be in business if you don't know how to run one. VB: In your book you provide a number of examples where companies failed to use the wide lens. Is one of these your favorite in terms of lessons to be learned? Ron Adner: Each one is my favorite. I've put so much of my soul into researching and understanding them. Remember, you're only seeing the ones that are in the book. You're not seeing the ones left on the cutting room floor. When you read about each of the failures your first impression is how could they possibly lose? And then the mystery is solved from an ecosystem perspective. Or there are the cases where it seems it would have been impossible to be successful – the Digital Cinema example – and you detect a systematic and predictable pattern for success. So I've got to tell you I love them all. VB: Are you going to share with business leaders the case studies you left on the cutting room floor? Ron Adner: I am going to share some of them, and I'm also writing some new case studies for teaching purposes. Those are going to be available on the book website. The Wide Lens website provides online for free the entire first chapter which describes the core of the wide-lens perspective and includes the Michelin story of its blind spot related to the PAX run-flat tire. The website also has a section with smaller articles I've written as additional resources. VB: Are business leaders hearing your message about how to avoid hidden traps? Ron Adner: Yes they are. It has been highly rewarding to see my message start to resonate. Hopefully as more people get exposed the ideas will get additional traction. VB: Is The Wide Lens the prime focus of your teachings at Tuck School of Business? Ron Adner: It's the primary focus of my teaching. I teach two different classes at Tuck, and they're all ecosystem based. VB: Are most business schools failing to ensure their graduates have a mastery of ecosystem strategy? Ron Adner: Within the last two months I've received emails from colleagues at different schools around the globe asking, 'How do I teach this stuff?' This is partly why I'm developing teaching case studies and materials related to the book. We're in a dynamic environment, and I'm optimistic. VB: Do you have any further advice about how to eliminate failure by strategizing more robust success in our innovation efforts? Ron Adner: It all comes down to being comfortable asking the question, what else needs to happen for us to succeed? The more comfortable you get at asking this question using these wide lens tools the greater your odds of success in not falling victim to the innovator's blind spot. This blind spot is one of failing to see how innovation success most often depends on partners who also need to innovate and to adapt in order for their efforts to succeed. It's a world of innovation ecosystems. VB: Any more books in the offing? Ron Adner: Probably, but not right away. I'm still working on this one. Researching and writing The Wide Lens was well over 10 years. The next one probably won't take quite as long but my job in the next year or two will be paying attention to the way people are reacting to this one, and figuring out what the next big question is. VB: Thank you for telling us about how focusing on the entire ecosystem is a way to reduce the risk of avoidable failure. Author and strategy scholar Ron Adner offers a clear warning: if you don't have a strategy to manage the interactions of your ecosystem partners, you don't have a strategy for success. Great ideas and great execution of your internal innovation processes are necessary prerequisites, but they can still lead to failure if you haven't aligned your partners. A robust approach to innovation must find ways to overcome co-innovation and adoption chain risks, which, according to Ron Adner, "lurk in the blind spot of traditional strategy." The Wide Lens provides tools for making better choices about what innovation initiatives to undertake, and then to better manage the initiatives we choose to pursue. Having a wide lens enables us to assess our organization's strategies and identify the entire ecosystem of partners who are required for successful implementation of an innovation. These useful tools include Value Blueprint for identifying Co-innovation Risks and Adoption Chain Risks, a Leadership Prism to help determine who are the most likely ecosystem leaders (and followers), First-mover Matrix to determine the ideal timing for implementation of an innovation, and Five Levers of Ecosystem Reconfiguration to explore alternative blueprints for delivering a complete value proposition. He also describes how the principles of Minimum Viable Footprint, Staged Expansion, and Ecosystem Carryover can aid in identifying the best sequence to follow in realizing the value proposition, and even more interesting in how to leverage your innovation for additional opportunities. Dr. Ron Adner has a B.E. and a M.E. in Mechanical Engineering from The Cooper Union, a M.A. in Managerial Science and Applied Economics and a Ph.D. in Management from The Wharton School at the University of Pennsylvania. He is Professor of Strategy and Entrepreneurship at the Tuck School of Business at Dartmouth College, and was on the faculty INSEAD from 1998 to 2008 where he held the Akzo Nobel Fellow of Strategic Management. He is an accomplished teacher who was recognized in 2011 with the Tuck School's inaugural Award for Teaching Excellence for his courses on innovation strategy. While on the faculty at INSEAD he was honored with the Outstanding Teacher award five times (2000, 2002, 2003, 2004, and 2005). Ron Adner's research and teaching focus on innovation, strategy, and entrepreneurship. His work introduces a new perspective on the relationship among firms, customers, and the broader "innovation ecosystems" in which they interact to create value. He is a speaker and consultant to companies around the world. Professor Adner is the author of The Wide Lens: A New Strategy for Innovation (2012). His research has been published in leading academic journals including Management Science, Strategic Management Journal, The Rand Journal of Economics, Academy of Management Review, Advances in Strategic Management, and in edited book chapters. 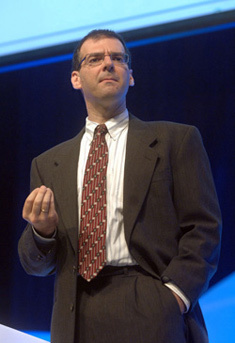 His managerial articles have been published in numerous outlets including Harvard Business Review, MIT Sloan Management Review, California Management Review, Slate, Business Insider, Wired, Fast Company, The Atlantic, Fast Company, Forbes, CNBC, The Huffington Post, Financial Times, and The Wall Street Journal.